Unsurprisingly, the new Gallup Poll shows that the majority of Americans want legal weed… again…. for the THIRD consecutive year. The numbers have risen again this year, with the older population showing more of an interest. This year’s poll shows promising changes for the legalization of marijuana across the USA. When Gallup first took the poll in 1969, only 12% of the population were in favor of legal weed. Forty-six years later, in 2015, the majority of the USA, at 58%, voted in favor of legal weed in the USA. The polls have steadily showed an incline in the last forty years in the people that want legalization. The increase from 56% last year to 58% this year is the largest increase in affirmative voters that the polls have seen in a few years. Gallup says this is likely due to governments showing a shift in their marijuana laws. With the changes that are happening across the USA, people are slowly making the shift towards legalization. And now more than half of the country is saying yes. Gallups poll shows that among the aging population (50-64), the percentage of those in favor of marijuana legalization has grown 28% in the last five years. These patterns indicate that as the growing population is being replaced by those more inclined to use marijuana, popularity grows among the old folk. It also shows that the stereotype is being broken now, with older people more likely to smoke, too. However, Gallup’s historical records also show that those aged 65 to 79 today are also more likely to vote yes to marijuana than those in the same age bracket 30 years ago. The attitude towards marijuana seems to be changing as the force of the legalization hurricane comes blowing. Young people have always been in the demographic that is more likely to support the legalization of marijuana. However, in 1969, there were only 20% of the population aged 18-34 who supported. In 2015, over 70% of those in that age group support legalization. The support of people in this age group continues to grow with every survey that goes through. Gallup predicts that the constantly increasing number of supports is going to continue increasing. Their numbers suggest that as younger generations go on to replace older generations, support will only increase. At 58%, this is the largest number of supporters that Gallup has collected over the years. Gallup predicts that as the support rises, so will the pressure on governments to put less restrictions on marijuana use. 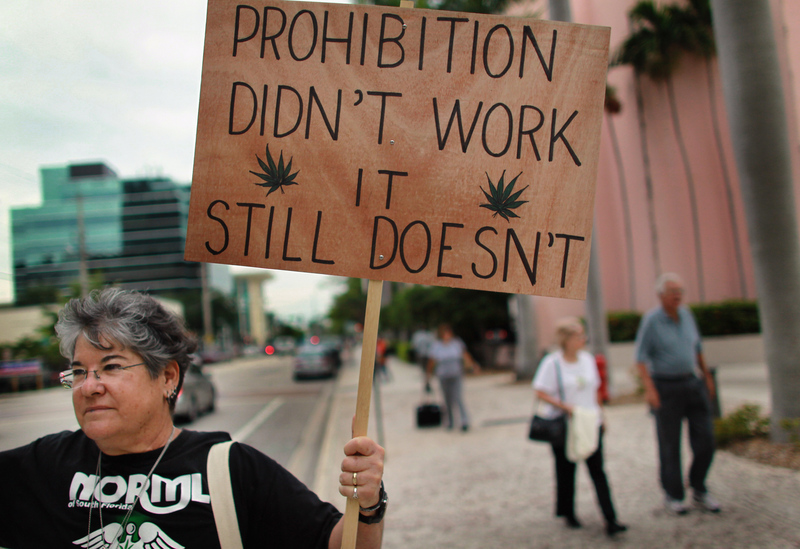 They even predict that these numbers will be the final say in abolishing prohibition altogether.